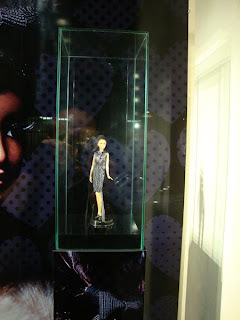 the Vogue Fashion Night Out, on 10th Sept.'09, was a huge success, and Barbie had a wonderful event in Milan last night too. We were at Biffi store, wonderful shop of fashion in Milan, where we collaborated creating the replica doll of Gabriele Colangelo's dresses. 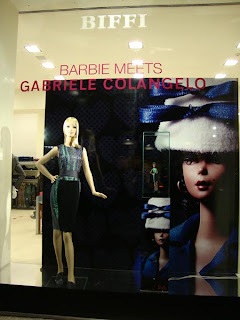 Colangelo is a new talent of italian fashion, and his delicious and elaborated dresses were ecposed in the Biffi windows, wore by Barbie Mannequins and next to a doll replica. We worked hard to duplicate the soft and elgant touch of Garbiele on Barbie size. 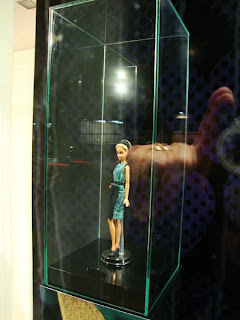 The event was successful, and Ricard Dickson, Mattel Vice President, made a tribute to Gabriele with a OOAK doll gift, with a special dress especially designed for the event. We had the honor to create the dolls and the tribute doll for the event. 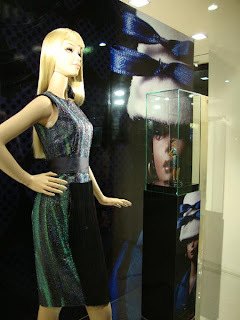 A look-like doll of Franca Sozzani was also donated by Mr. Dickson to the Vogue Director, to celebrate the year of collaboration. 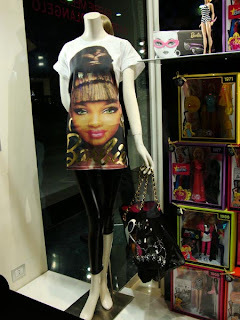 the Sozzani doll was especially produced by the design department in LA. here are some pics of the exhibit and event.